Charles Joseph is the founding partner at Joseph & Kirschenbaum LLP. After graduating from NYU’s School of Law in 1990, Charles worked for a large Wall Street firm. In 1997, he founded Joseph & Kirschenbaum to help workers who had been wronged by unfair employment and wage practices. His firm is dedicated to helping employees win claims for discrimination, sexual harassment, wage theft, retaliation, whistleblowing, and other illegal employer activities. Charles has won numerous major legal victories for workers in all occupations and industries. His firm has recovered over $120 million for workers across the country. Charles has a long history of helping people who have been treated unfairly. He was honored by the Lawyer’s Committee for Human Rights (now Human Rights First) for his pro bono work obtaining political asylum for China’s leading literary dissident, as well as refugees from Haiti, Pakistan, Sudan, and Ukraine. Charles also worked on behalf of the Center for Constitutional Rights to bring a mass-murdering easter European political leader to justice under the Torture Victim Protection Act. His pro bono work includes housing cases for indigent tenants, family law and child support cases on behalf of indigent women, and criminal appeals for indigent defendants. 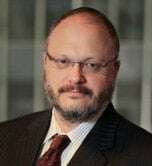 In addition to his pro bono work, Charles is active in several professional associations focusing on employment law, including the National Employment Law Project, the National Employment Lawyers Association, and the New York State Trial Lawyers Association. He has also received a 5-star rating on Avvo and has been rated as a SuperLawyer. Charles is also the proud father of four children, and in his free time he is pursuing a master’s degree in the history of working and workers’ rights at the University of Edinburgh, Scotland.